<h2>Smart beehives and heat treatments could protect bees from decline</h2><br /><p>The number of <em>Varroa</em> mites, a bee parasite, has been steadily increasing due to warming weather conditions throughout Europe. The mites are a double threat to beehives because, in addition to feeding on baby bees, they also carry diseases, like the deformed wing virus.</p> <p>Beekeepers first noticed this virus about thirty years ago in Japan. Researchers observed that bees were being born without wings, and subsequently kicked out of the hive, where they starved to death.</p> <p>Up until now, the only way to combat the virus has been to keep Varroa mite levels low, and many beekeepers use chemical solutions for this. These chemicals can only be applied after the honey harvest, however, which poses a problem. Each year, the bee breeding season is starting earlier and earlier due to climate change, which gives the mites more time to reproduce. Beekeepers can be left with a dilemma if they need to put chemicals into the hive to exterminate the mites but still haven’t harvested the honey.</p> <p>According to Professor Wolfgang Wimmer of Austrian company ECODESIGN, chemicals like this can also affect the quality of wax and the taste of honey. However, he says there is an alternative.</p> <p>‘One can do a chemical-free treatment early in the year, leaving the mites and the virus with no chance of survival.’</p> <p>Prof. Wimmer has been working on such a chemical-free solution that uses heat to rid the hives of <em>Varroa</em> mites.</p> <p>To develop his idea, he studied the work of other experts, which showed that when bees were in a state of metamorphosis called the pupal stage – transforming from larvae into fully grown bees – they could survive very high temperatures. His question was, could the parasites also handle the heat?</p> <p> <div class="quote-view quotesBlock quote_horizontal"> <div class="quotesTop"><img src="https://horizon-magazine.eu/sites/all/themes/horizon/images/quotes_top.png" alt="" title="" /></div> <p>'We know beekeepers who started their hive seven years ago, and they have never lost a single hive due to <em>Varroa</em>. '</p> <blockquote><p>Professor Wolfgang Wimmer, Director, ECODESIGN</p></blockquote> <div class="quotesBottom"><img src="https://horizon-magazine.eu/sites/all/themes/horizon/images/quotes_bottom.png" alt="" title="" /></div> </div> </p> <p><strong>Metamorphosis</strong></p> <p>Bees go through a metamorphosis process not unlike that of the caterpillar and butterfly. Baby bees, called larvae, live in special cells of the beehive after birth, and are fed by the other bees. When they&nbsp;get fat enough, the older bees seal the cell, trapping the larvae inside where they spin a cocoon and begin to transform into adults. However, the <em>Varroa</em> mites also get trapped in these sealed cells.</p> <p>Prof. Wimmer found that if the sealed cells were exposed to high temperatures, the <em>Varroa</em> mites died off while the larval bees survived unscathed. He has used this finding to develop a machine, the <a href="http://www.varroa-controller.com/de_DE/" target="_blank" rel="noopener noreferrer">Varroa Controller</a>, which can apply heat treatment to 20 hive frames of sealed cells at a time, and kill the mites in two hours.</p> <p>‘We are now in the market eight years with our product. We know beekeepers who started their hive seven years ago, and they have never lost a single hive due to <em>Varroa</em>. From day one they started with our technology,’ said Prof. Wimmer. 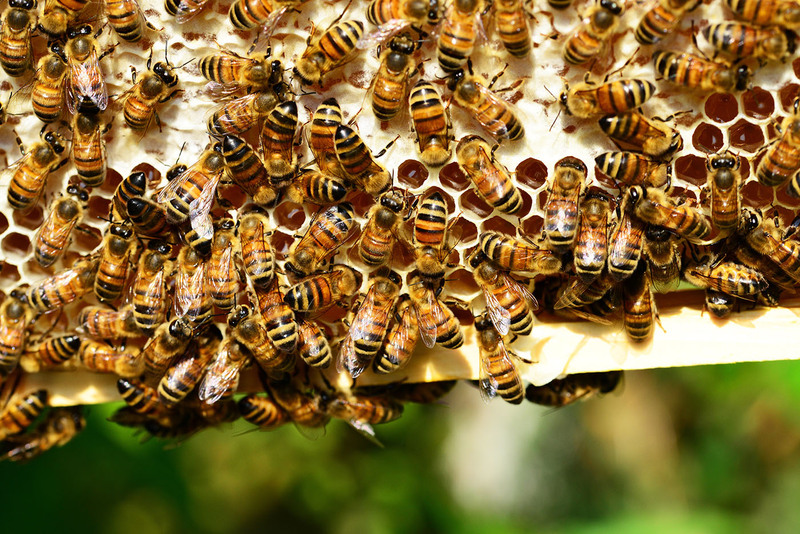 The company is now scaling up the business to help reach new markets.</p> <p>Beehives have to be continuously monitored to ensure that <em>Varroa</em> mite levels are not critical. The maximum threshold for the number of Varroa mites within a healthy hive is 1,000. Any more, and the hive is under threat of collapse.</p> <p>However, mites are not the only threat to a hive’s health – weather, chemicals and human activities are all potential threats. Countries in the EU are losing <a href="https://www.nature.com/news/eu-states-lose-up-to-one-third-of-honeybees-per-year-1.15016" target="_blank" rel="noopener noreferrer">up to a third</a> of their bee populations every year, and beekeepers need to be increasingly vigilant to ensure the bees will survive.</p> <p>To tackle this, French start-up company Bee Angels has designed a new remote monitoring system which sends real-time alerts to beekeepers via a smartphone app if anything is amiss in the hive, allowing them to react instantly to problems.</p> <p>Parasite presence is just one of the factors that the device monitors. It also has environmental sensors to provide beekeepers with constant, up-to-date information about the weather, atmospheric pressure and light intensity. Temperature and moisture measurements of a hive determine the bees’ level of fatigue, while a video monitor highlights the presence of parasites.</p> <p>Bee Angels is now working on validating new sensors, implementing solar panels to power the system, and developing a market study confirming Bee Label’s positioning. According to the start-up, beekeepers who are already using the first-generation device say it can reduce overall bee mortality by 40%, and save up to €1,500 per year.</p> <p><strong>Theft</strong></p> <p>An alarm will also notify the beekeeper if the hive is on the move. According to Bertrand Laurentin, founder of Bee Angels, beehive theft is a growing issue.</p> <p>Earlier this year, forty beehives containing up to <a href="https://www.telegraph.co.uk/news/2018/02/28/britains-biggest-bee-sting-one-million-insects-stolen-oxfordshire/" target="_blank" rel="noopener noreferrer">a million bees were stolen</a> in one heist in the UK. As beekeeping has become more popular, and bee colonies are suffering from decline, the value of good quality beehives has increased significantly, with queen bees alone selling for as much as €200.</p> <p>‘It’s a very big problem, everywhere in Europe,’ Laurentin said. ‘But if the hive moves, you know where and what time. You have all the information.’</p> <p><em>The companies in this article have received funding from the EU to scale up their innovations. If you liked this article, please consider sharing it on social media.</em></p> <p><a href="http://bit.ly/newsalertsignup" target="_blank" rel="noopener noreferrer"><em><img class="" src="https://horizon-magazine.eu/sites/default/files/news-alert-final.jpg" alt="" width="983" height="222" /></em></a></p> <br /> <img src=”http://www.google-analytics.com/collect?v=1&tid=UA-40077089-1&cid=smart-beehives-and-heat-treatments-could-protect-bees-from-decline&t=event&ec=republish&ea=read&el=smart-beehives-and-heat-treatments-could-protect-bees-from-decline&cs=republish&cm=republish&cn=republish&cm1=1" /> This post <a href="https://horizon-magazine.eu/article/smart-beehives-and-heat-treatments-could-protect-bees-decline.html">Smart beehives and heat treatments could protect bees from decline</a> was originally published on <a href="https://horizon-magazine.eu/">Horizon: the EU Research &amp; Innovation magazine | European Commission</a>. The number of Varroa mites, a bee parasite, has been steadily increasing due to warming weather conditions throughout Europe. The mites are a double threat to beehives because, in addition to feeding on baby bees, they also carry diseases, like the deformed wing virus. Beekeepers first noticed this virus about thirty years ago in Japan. Researchers observed that bees were being born without wings, and subsequently kicked out of the hive, where they starved to death. Up until now, the only way to combat the virus has been to keep Varroa mite levels low, and many beekeepers use chemical solutions for this. These chemicals can only be applied after the honey harvest, however, which poses a problem. Each year, the bee breeding season is starting earlier and earlier due to climate change, which gives the mites more time to reproduce. Beekeepers can be left with a dilemma if they need to put chemicals into the hive to exterminate the mites but still haven’t harvested the honey. According to Professor Wolfgang Wimmer of Austrian company ECODESIGN, chemicals like this can also affect the quality of wax and the taste of honey. However, he says there is an alternative. Prof. Wimmer has been working on such a chemical-free solution that uses heat to rid the hives of Varroa mites. To develop his idea, he studied the work of other experts, which showed that when bees were in a state of metamorphosis called the pupal stage – transforming from larvae into fully grown bees – they could survive very high temperatures. His question was, could the parasites also handle the heat? Bees go through a metamorphosis process not unlike that of the caterpillar and butterfly. Baby bees, called larvae, live in special cells of the beehive after birth, and are fed by the other bees. When they get fat enough, the older bees seal the cell, trapping the larvae inside where they spin a cocoon and begin to transform into adults. However, the Varroa mites also get trapped in these sealed cells. Prof. Wimmer found that if the sealed cells were exposed to high temperatures, the Varroa mites died off while the larval bees survived unscathed. He has used this finding to develop a machine, the Varroa Controller, which can apply heat treatment to 20 hive frames of sealed cells at a time, and kill the mites in two hours. ‘We are now in the market eight years with our product. We know beekeepers who started their hive seven years ago, and they have never lost a single hive due to Varroa. From day one they started with our technology,’ said Prof. Wimmer. The company is now scaling up the business to help reach new markets. Beehives have to be continuously monitored to ensure that Varroa mite levels are not critical. The maximum threshold for the number of Varroa mites within a healthy hive is 1,000. Any more, and the hive is under threat of collapse. However, mites are not the only threat to a hive’s health – weather, chemicals and human activities are all potential threats. Countries in the EU are losing up to a third of their bee populations every year, and beekeepers need to be increasingly vigilant to ensure the bees will survive. To tackle this, French start-up company Bee Angels has designed a new remote monitoring system which sends real-time alerts to beekeepers via a smartphone app if anything is amiss in the hive, allowing them to react instantly to problems. Parasite presence is just one of the factors that the device monitors. It also has environmental sensors to provide beekeepers with constant, up-to-date information about the weather, atmospheric pressure and light intensity. Temperature and moisture measurements of a hive determine the bees’ level of fatigue, while a video monitor highlights the presence of parasites. Bee Angels is now working on validating new sensors, implementing solar panels to power the system, and developing a market study confirming Bee Label’s positioning. According to the start-up, beekeepers who are already using the first-generation device say it can reduce overall bee mortality by 40%, and save up to €1,500 per year. An alarm will also notify the beekeeper if the hive is on the move. According to Bertrand Laurentin, founder of Bee Angels, beehive theft is a growing issue. Earlier this year, forty beehives containing up to a million bees were stolen in one heist in the UK. As beekeeping has become more popular, and bee colonies are suffering from decline, the value of good quality beehives has increased significantly, with queen bees alone selling for as much as €200. The companies in this article have received funding from the EU to scale up their innovations. If you liked this article, please consider sharing it on social media.